Kuta, April 2017 – Culinary exploration has a never ending story. Bali has made its path to the “bucket list” for Foodies who love to explore more on culinary, especially Balinese cuisines. Chef Oka, the Executive Chef of Rustik Bistro & Bar – the main restaurant of Harper Kuta Bali Hotel – and the culinary team are putting the utmost by launching new menu with wide variant of great dishes. From the authentic Indonesian, International, and Indian cuisines to the delicate Rice Bowls are coming out of the kitchen to delight guests’ palate using modern cooking methods, such as frying, grilling, baking and more. Starts from IDR 35,000++, guests can enjoy range of flavours starting Chicken or Vegetables Spring Rolls, Safari Sweet Corn and Chicken Soup, and other favourite dishes such as Ayam Bakar Taliwang, Ayam Betutu Bali, and Nasi Goreng have earned much commendation. Additional favourite dishes such as New York Burger and Chili Prawn Rice Bowl are best served with Rustik Dragon Fruit, the healthy signature drink of Rustik Bistro & Bar. “Savour the new delights at Rustik Bistro & Bar. Our food is made of high quality product and touched by professional hands with passion. We don’t only serve food on your plate, but also art and love from the kitchen,” said Mei Meiarthana, Food and Beverage Manager of Harper Kuta Bali Hotel. 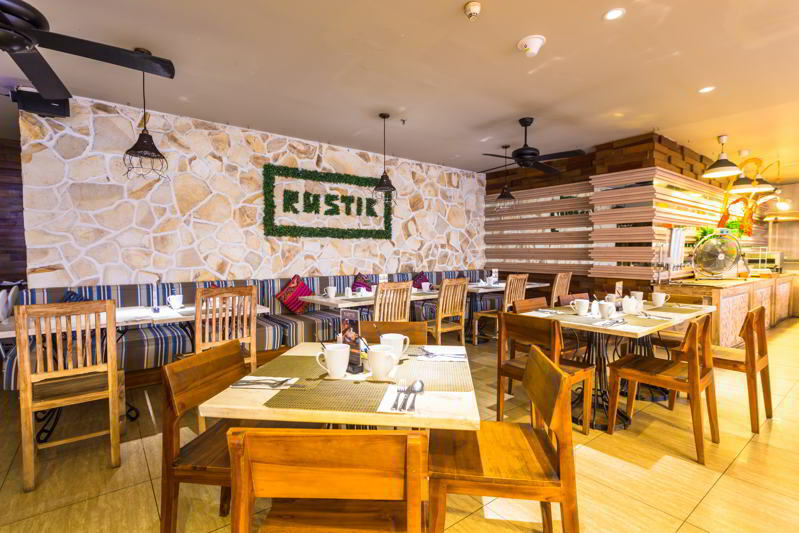 Rustik Bistro & Bar is located on the infamous Legian Street, a short stroll from Ground Zero Monument Bali. Open from 6.30 a.m. to 11.00 p.m., Rustik Bistro & Bar serves breakfast, lunch and dinner for public. For reservations and more information, please contact +62 361 8469869, [email protected] or visit kuta.harperhotels.com. Harper is the brandchild of Archipelago International, an Indonesia based hotel operator with Hawaiian roots and an underlying portfolio of more than 120 Hotels and Resorts. Modern, yet infused with rustic charm, Harper Hotels convey a residential feel and a balanced functionality, offering unobtrusive service and never ending innovation - hotels for astute travellers who value individualism and character.